Blanche Rachel Mirra Alfassa (1878-1973) was born in Paris to a Turkish-Jewish father and Egyptian-Jewish mother. Growing up in a wealthy Sephardic home, she was exposed to a great deal of spiritual teachings, art, and her father’s vast library – which she had read entirely by age 14. After studying art at the prestigious Académie Julian, she found success as a painter and artist, collaborating with such greats as Matisse, Rodin, and Zola. After ten years of this, Alfassa wished to pursue her spiritual inclinations and found her way to a Polish Jew in Algeria who led a Kabbalah-based mystical circle. 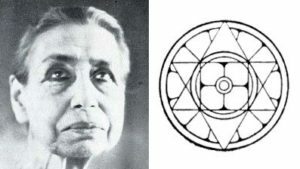 In 1908, she established her own mystical circle in Paris, fusing together esoteric Jewish teachings with those of Buddhism and Hinduism. 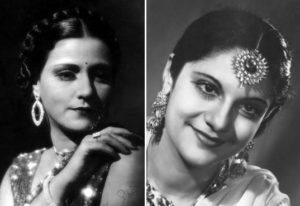 In 1914, she moved to Pondicherry, India – then a French colony – where her second husband was seeking election to the senate. There, Alfassa met a yogi named Sri Aurobindo and became his devoted follower. For the next six years (four of which were spent in Japan), she and her husband published a regular journal of Aurobindo’s teachings. Eventually, the couple divorced, and Alfassa moved to Aurobindo’s house. 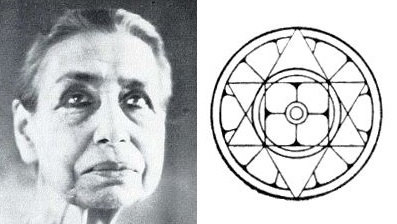 Aurobindo soon recognized Alfassa as his spiritual equal, and titled her “the Mother” – an incarnation of the cosmic “Divine Mother” of the universe. 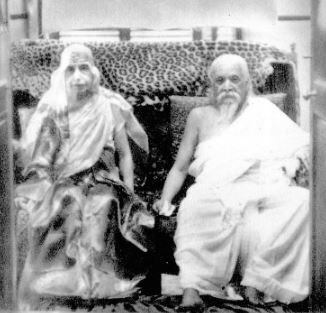 Alfassa and Aurobindo started teaching together and attracted many followers. The house soon transformed into an ashram. By 1937, their ashram had grown so much that Alfassa commissioned the construction of a new community. This community would draw many, including the daughter of US President Woodrow Wilson, who stayed there for the rest of her life. During World War II, while many in India supported Nazi Germany (in order to overthrow their British rulers), Aurobindo and Alfassa worked hard to support the Allied Forces, and donated much of their funds for the war effort. In 1943, Alfassa founded a new school, which later became the Sri Aurobindo International Centre of Education. After Aurobindo’s death in 1950, Alfassa became the sole leader of the movement, and a prominent holy figure in India. In 1956, she established another ashram and school in Delhi, and did the same in Gujarat in 1967. Meanwhile, a popular 13-volume book of her life and teachings was published (now expanded to 17 volumes). Perhaps her greatest legacy is Auroville, a city-state she founded in 1968 near Pondicherry. 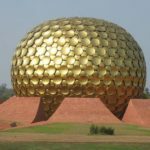 Auroville was meant to be a model community for the whole world, where all people regardless of background could live in total harmony, spirituality, and peace. Delegates from 124 nations attended the inauguration ceremony. Today, Auroville has over 2500 permanent residents from some 50 countries. A self-sustaining community, it has its own institutions, including farms, schools, and restaurants (one of which is an Israeli cafe – closed on Shabbat, of course). The city’s centrepiece is the beautiful Matrimandir, the solar-powered “Mother Temple”, designed in the form of a famous golden vision once seen by Alfassa, who is still known affectionately as “the Mother”. This entry was posted in Religious Leaders and tagged Académie Julian, Artists, Auroville, Buddhism, Delhi, Egyptian Jews, French Jews, Gujarat, Hinduism, India, Indian Jews, Japan, Kabbalah, Matrimandir, Mysticism, Painters, Pondicherry, Sephardic Jews, Spirituality, Sri Aurobindo, Turkish Jews, Woodrow Wilson, World War II, Yoga, Yogi on January 5, 2017 by Jew of the Week.